I've done many "corporation" cakes over the years at Cake Dreams for companies all over London. Basically cakes with corporate logos. Pretty much as dull as it sounds (so dull I often don't take photos of them). 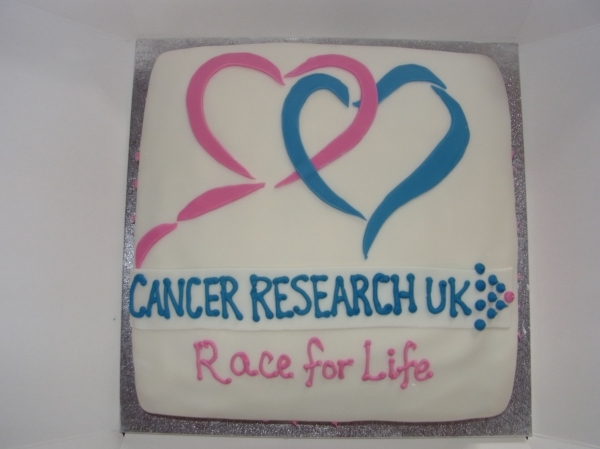 But this weekend I was very pleased to be able to make a cake for Cancer Research UK for their fundraising efforts for their Race For Life. 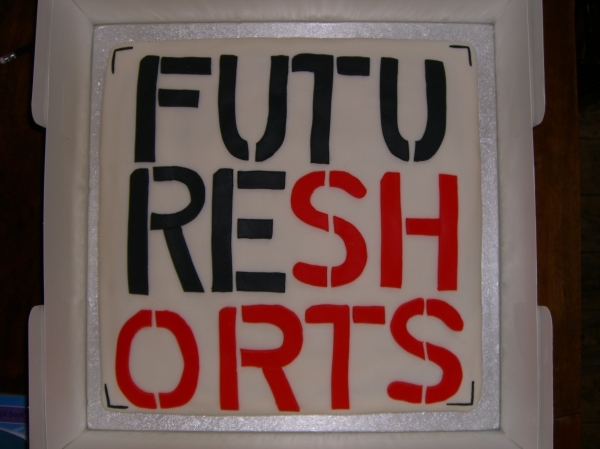 In the past I've made cakes for Carr-Gomm in Camden North London, twice I've made large ear shaped cakes for Specsavers, a logo cake for Future Shorts a film production company and a Titanic cake for Channel 4. So I've decided to include a Corporate Cake Gallery on my web site. Enjoy.